Come and initiate, accelerate and realise your projects at the IoT Valley ! The ideal place to maximise qualified meetings with key Internet of Things players. Corporations and startup: this is your chance to connect with counterparts and learn more about the startup in the ecosystem thanks to our tailored networking service. ACCESS THE BUSINESS ROOM ! 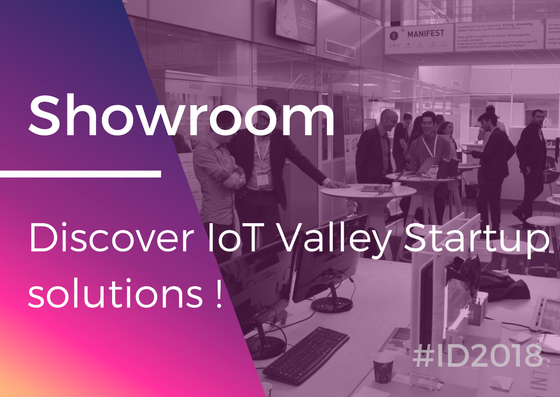 Come and discover nuggets from the IoT Valley! Innovation Day aims to highlight our startup expertise and show the potential of businesses working in the Internet of Things. The Showroom will host special demonstrations and presentations, enabling new connections to be made! Plenty of Thrills and Electric Karts on the menu! Throughout the day, animations made to surprise you! Thrills and an unforgettable closing party at the point ! Let yourself be carried away by the rhythms of Innovation Day!